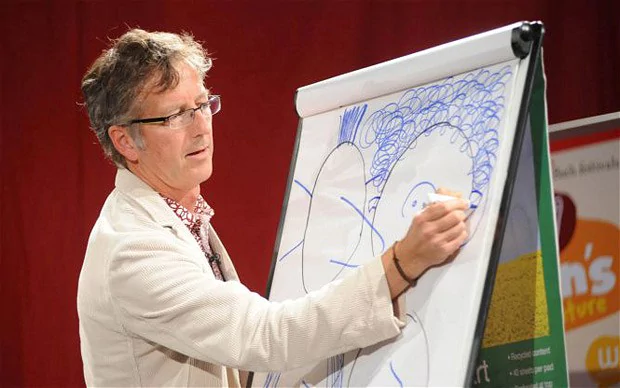 Sixteen children from years 2, 3 and 4 visited Bath on Monday 3 October to meet the Horrible Histories Illustrator, Martin Brown. Martin gave a wonderful talk all about grizzly events in history and how to draw for fun. We got to meet him afterwards and he signed our books. Even though meeting Martin was fun, the highlight of the day was undoubtedly the four different train rides taken to get to Bath. There was much excitement and merriment as train drivers and passengers waved and talked to us all. It was a lovely day and the children were impeccably behaved.